Discussion in 'Kitchen Appliances, Cookware, Cookbooks & Recipes' started by cook101, Jul 1, 2018. This is my microwave oven. I want to boil eggs. At what "Power" and how much time should I set to boil eggs ? I need to fill a bowl with water and merge the eggs right ? Wrap the egg in foil. This is essential - otherwise the egg will explode! Immerse in a mug or bowl of boiling water (a mug is easier if you are only boiling one egg). Set top dial to high. Cook approx. 4 mins for a soft boiled egg. I think that will be setting 4 on the bottom dial but I'm not sure. The exact time depends on the size of the egg. For hard boiled set the dial for 7 mins. The problem is dont have foil with me. Please don't misunderstand but can I do this without foil ? Absolutely NOT. The egg will explode and make a terrible mess in the microwave. At least, that is what it will do when you cook it on the high setting in boiling water. I watched the u-tube and assume she using a low setting and or using cold water. I have never tried it that way. Why don't you try it and report back? Absolutely NOT. The egg will explode and make a terrible mess in the microwave. At least, that is what it will do when you cook it on the high setting. I watched the u-tube and assume she using a low setting. I don't know. I dont think I am ready for this and after reading what you just wrote I dont think I want to try this. Can you buy some foil? I promise my method works with no danger of explosion! Okay I will write back after I buy some foil. This might work because the pressure is released. I suggest you try it and see. The worst case would be the egg exploding. It just means a mess to clear up. I think the foil method is easiest and safer. Just get a cheap hot plate and boil them the traditional way. Microwave boiled eggs just seems to be asking for egg on your ceiling. I accidentally used foil in the microwave, and it caught on fire. It genuinely works - but you must immerse the foil wrapped egg in boiled water. It won't catch fire at all. I tried it and posted images - I'll try to find a link. @Karen W and @oddduck. Here is a link to my thread with photos: How to boil an egg in the microwave. I now microwave boiled eggs all the time! 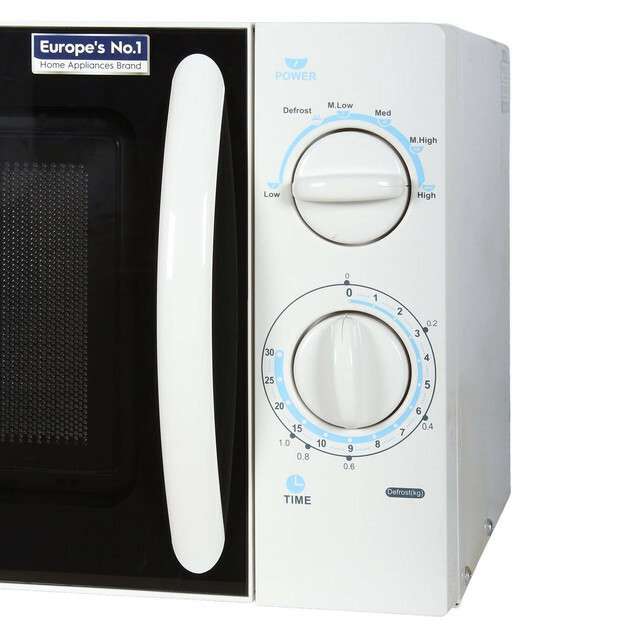 I've never seen a microwave like the one pictured. Mine is a big sideways rectangular box. I'll take your word for it, though. However, when I saw flames coming from the microwave, I trust the manufacturer when they say do not put foil/metal in the microwave. By the way, I put an Arby's roast beef sandwich that came in a silver packet in the microwave to reheat. I didn't realize it was made of foil/metal. I won't do that again.